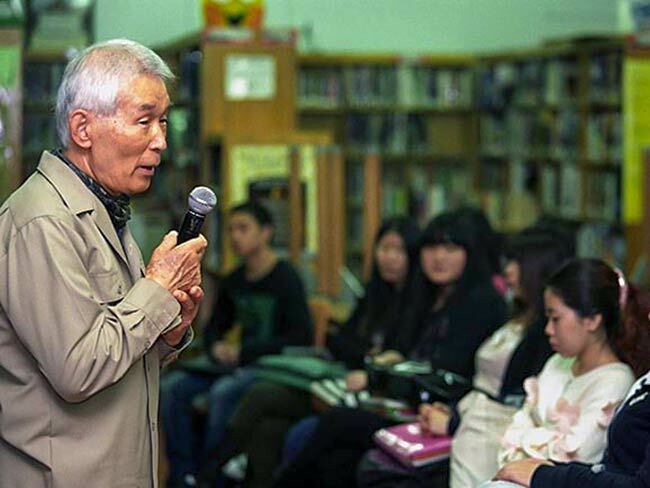 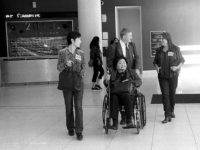 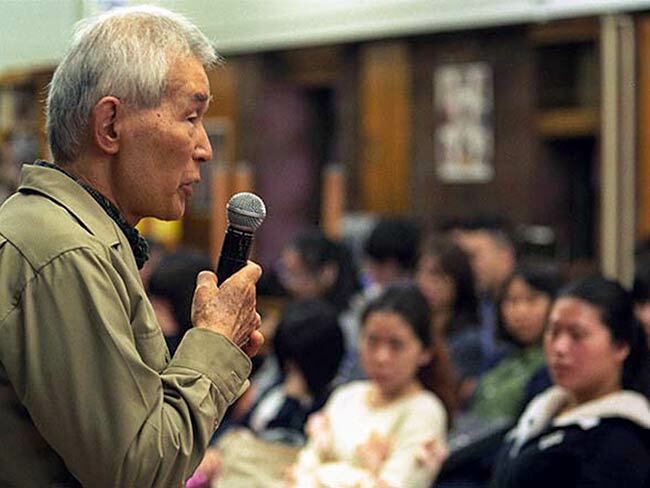 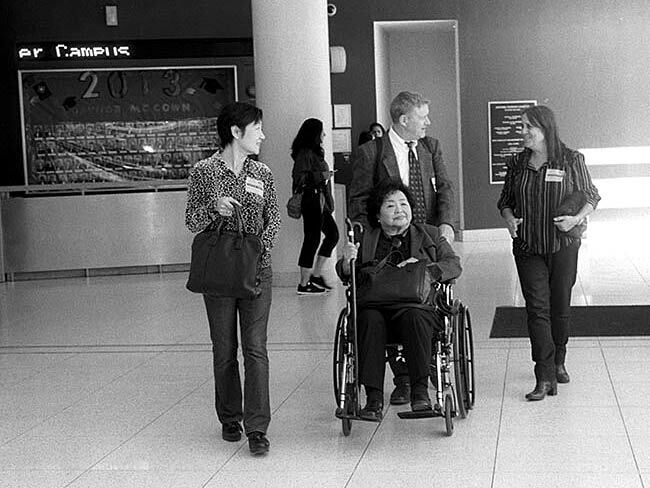 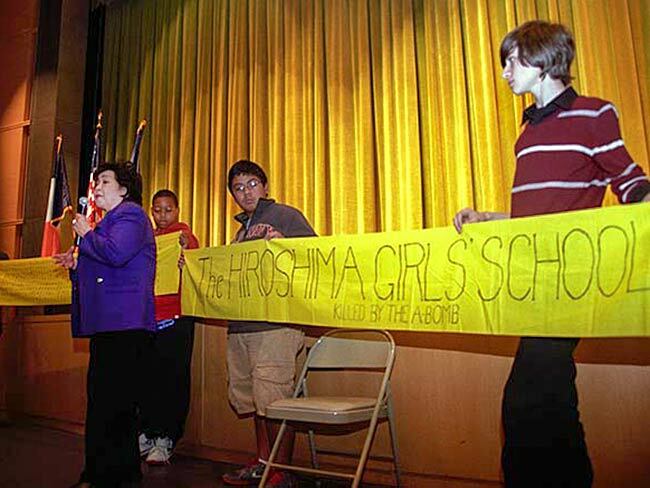 From October 12, 2013 through October 20, 2013, Youth Arts New York sponsored the visits of Yasuaki Yamashita, an atomic bomb survivor from the city of Nagasaki, and Setsuko Thurlow, a survivor from Hiroshima. 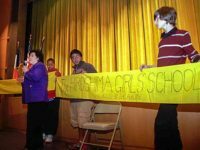 They were joined by Clifton Truman Daniel, grandson of US President Harry S. Truman. 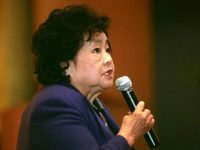 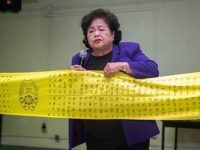 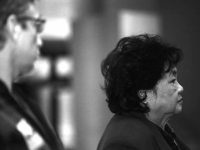 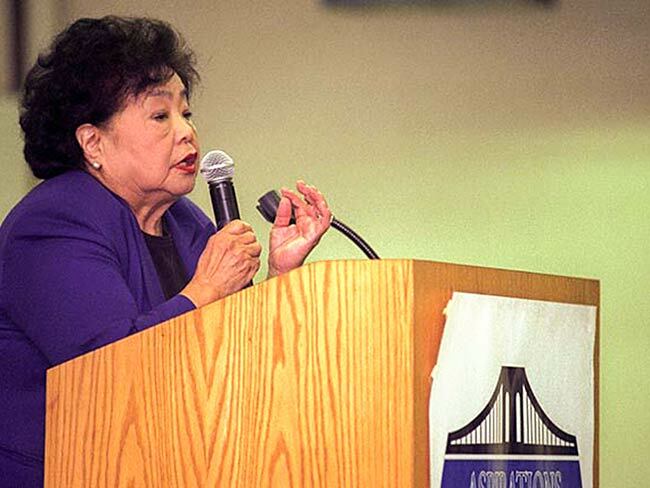 Setsuko Thurlow brought with her a banner that listed the names of the girls from her school who died from the bomb. 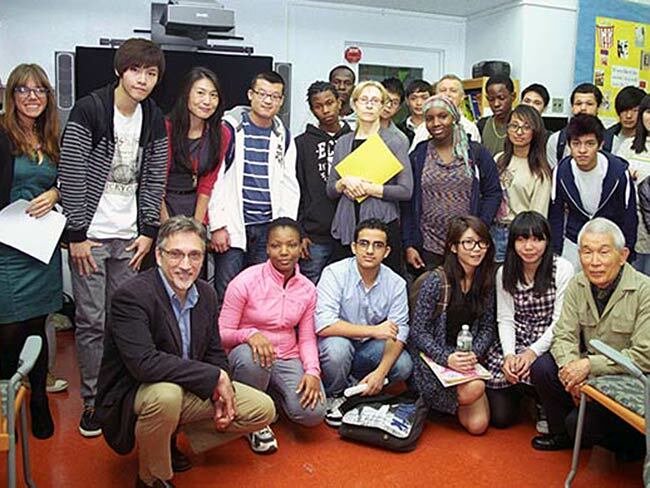 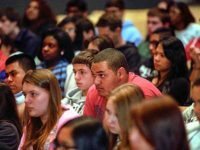 We visited Aspirations High School in Brooklyn, East Side Preparatory Academy in Manhattan and the College of Staten Island High School for International Studies.